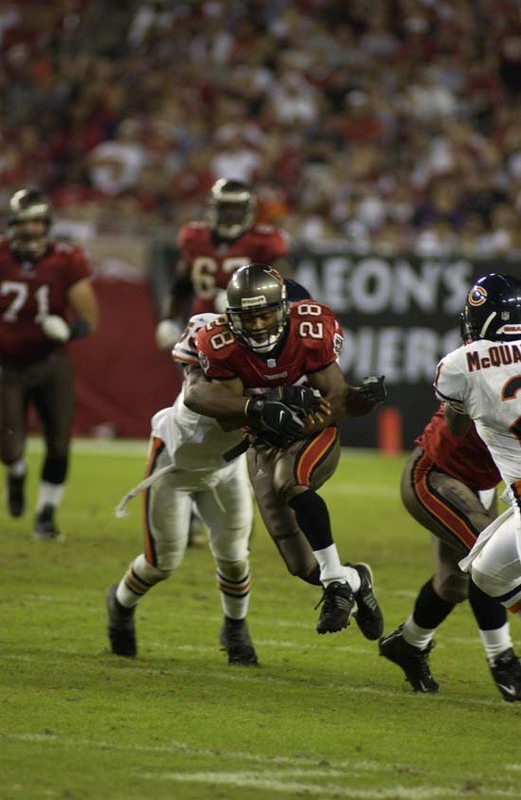 BUCS: Dunn 8-12, B.Johnson 3-5, Alstott 4-2. BEARS: Thomas 23-58, Allen 2-12, Miller 4-(-2). BUCS: B.Johnson 56-40-399-2-0, Royals 1-1-5-0-0. 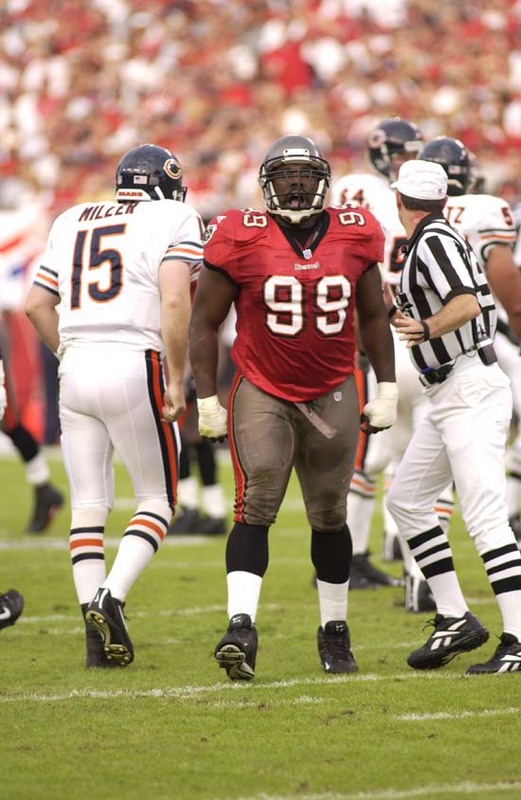 BUCS: Dunn 12-138, K.Johnson 12-89, Moore 5-36, Alstott 4-36, Anthony 3-57, Williams 3-34, Murphy 1-9, Stecker 1-5. BEARS: Booker 7-165, Shelton 2-18, Baxter 2-13, Terrell 1-15, Thomas 1-10, White 1-7. BEARS: Parrish 1-10, McQuarters 1-4. BUCS: Murphy 4-115, White 1-0. BEARS: Denson 3-63, Johnson 1-24. 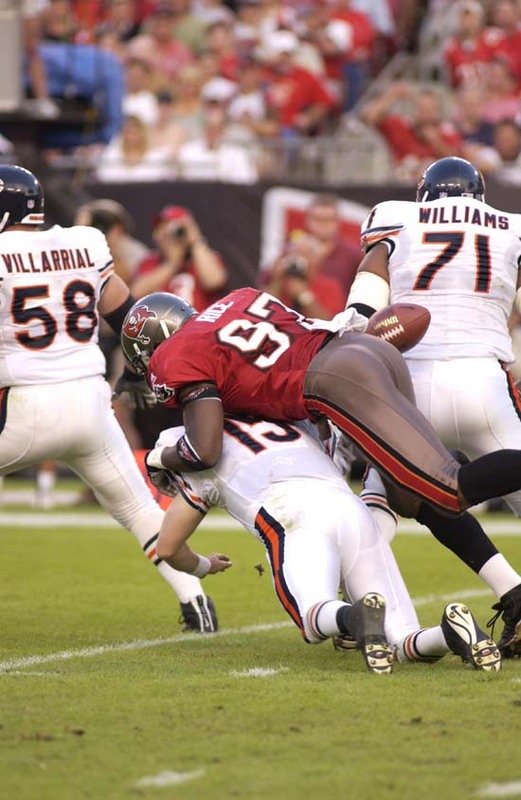 BUCS: Williams 4-20, Anthony 2-7. BUCS: White 2-14, Rice 1-8. BEARS: Daniels 1-5, Urlacher 1-4. They were down by 12 going into the final quarter but so nearly forced overtime, Martin Gramatica's 48-yard fieldgoal hitting the post as time expired. 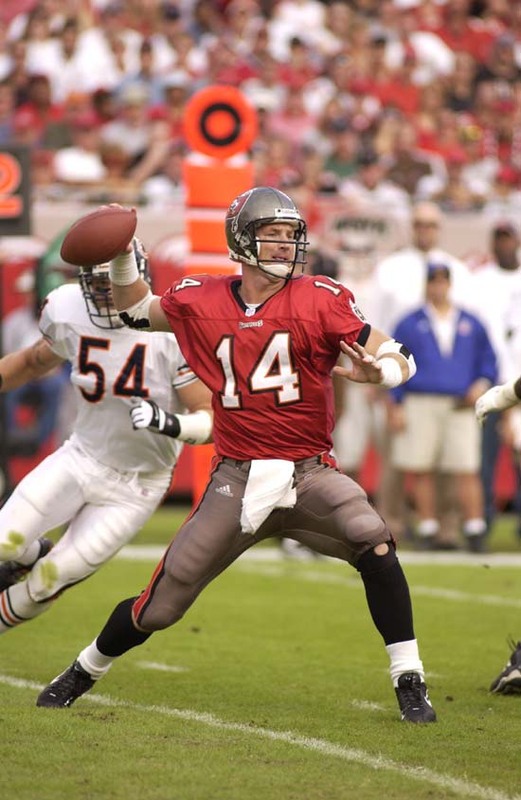 Brad Johnson completed a franchise record 40 passes in the game for almost 400 yards, but the Bucs just couldn't take advantage of the many chances they had to get back in the game earlier when it really mattered.